It is not very often that a documentary film can set a new paradigm about a recent event, let alone, one that is still in progress. 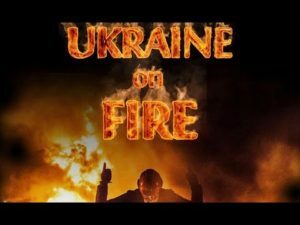 But the new film Ukraine on Fire has the potential to do so – assuming that many people get to see it. Usually, documentaries — even good ones — repackage familiar information in a different aesthetic form. If that form is skillfully done, then the information can move us in a different way than just reading about it. A good example of this would be Peter Davis’s powerful documentary about U.S. involvement in Vietnam, Hearts and Minds. By 1974, most Americans understood just how bad the Vietnam War was, but through the combination of sounds and images, which could only have been done through film, that documentary created a sensation, which removed the last obstacles to America leaving Indochina. 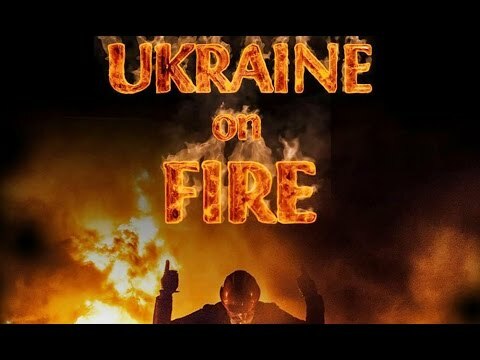 Ukraine on Fire has the same potential and could make a contribution that even goes beyond what the Davis film did because there was very little new information in Hearts and Minds. Especially for American and Western European audiences, Ukraine on Fire could be revelatory in that it offers a historical explanation for the deep divisions within Ukraine and presents information about the current crisis that challenges the mainstream media’s paradigm, which blames the conflict almost exclusively on Russia. Key people in the film’s production are director Igor Lopatonok, editor Alex Chavez, and writer Vanessa Dean, whose screenplay contains a large amount of historical as well as current material exploring how Ukraine became such a cauldron of violence and hate. Oliver Stone served as executive producer and conducted some high-profile interviews with Russian President Vladimir Putin and ousted Ukrainian President Viktor Yanukovych. Did a web search – this documentary was apparently shown on RT TV, Sept., 2014. RT is a valuable source of information – slanted, of course, just as the U.S. media is slanted. Visited the RC website – no offer of a video of it there. Where can it be seen? Anybody?